Congress president Rahul Gandhi visited Telangana on Monday, his first visit to the state since being elected Congress president in December last year. But while Rahul's visit is expected to electrify party workers in an election year, the Congress has to first cross multiple hurdles before it can successfully challenge the ruling Telangana Rashtra Samithi (TRS). Meanwhile, discontentment is brewing against the K Chandrashekar Rao government, but the Opposition Congress is far from winning over the confidence of the people. A slew of welfare schemes gave the TRS government a populist reputation and helped Chief Minister K Chandrashekar Rao enjoy an iconic image, but several vulnerabilities haunt the ruling regime in Telgangana. Foremost among them is the half-hearted implementation of certain flagship schemes, like the 2-bedroom houses. The TRS' victory in 2014 came in part due to an alluring promise of providing two-bedroom houses for the poor. Any government will find it formidable to implement a scheme of this nature given the extent of homeless people in the state and the high costs involved. And while the limited beneficiaries of the scheme are certainly overwhelmed, the heartburn among those who failed to draw benefits is much stronger. The TRS hopes to convert this heartburn into hope as it seeks a renewed mandate to fulfil poor people's wishes to own a decent house. How far the party can convince the aspirants is a question that is yet to be answered. Jobs, funds and water were the prime demands of the TRS while it was agitating for statehood for Telangana. Though a state public service commission was promptly set up and the process of recruitment has begun, the number of government jobs filled are much less when compared to what was promised by the TRS during the movement. Yet another glaring failure of the government is regarding implementation of its much publicised scheme of three acres for each landless Dalit family, besides providing the remaining extent of land for those who possess less land. The scheme is almost a non-starter with only couple of thousands of acres distributed. However, the TRS expects to tide over the discontentment regarding such issues by focusing on its developmental and welfare schemes like cash support to farmers, drinking water scheme, irrigation projects, financial assistance to girls at the time of marriage, etc. However, the Congress has failed to capitalise on this discontentment and strong anti-incumbency sentiment. Barring the occasional criticism through media and political platforms, the Congress failed to build a grassroots movement, and failed to mobilise sections of the state's populations who were being alienated by the TRS rule. This is more due to complacency within the party that any antipathy towards the ruling party would automatically benefit the principal Opposition. This complacency may cause many a slip between the cup and the lip for the Congress party at the hustings. TRS expects to benefit from its cash transfer scheme of providing Rs 8,000 per acre for the farmers. But, about 30 to 40 percent of farmers are excluded, as this scheme is not applicable to tenant farmers, tribal farmers who are cultivating forest land and are yet to get rights over it due to non-implementation of the Forest Rights Act, etc. 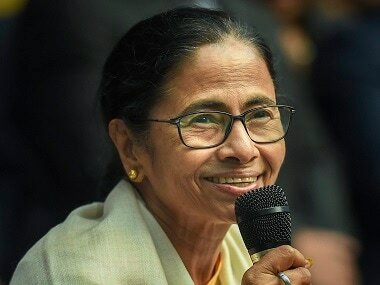 However, concentration of power in the hands of the chief minister has made many ministers and MLAs dummy figures, and has also increased the anti-incumbency sentiment. Thus, there is sporadic discontentment against KCR's rule, but it's confined to certain sections only. There is no universal displeasure with the TRS. The challenge before the Congress is in converting this sporadic disgruntlement into a strong anti-incumbency. Party president Rahul Gandhi spearheading the party's campaign in Telangana ahead of the polls would certainly enthuse the Congress' rank and file and unite the party leadership. But earlier experiences reveal that such unity among multiple leaders on the eve of the visit of the party supremo is usually symbolic. The Congress plans to draw a wedge among Muslim voters and Seemandhra voters (Telangana voters whose origin is in the present Andhra Pradesh state) who are alienated from the Modi regime which seems to have the uncritical support of the TRS. The Congress is desperately trying to create a strong perception that TRS is a 'B-Team' of BJP. 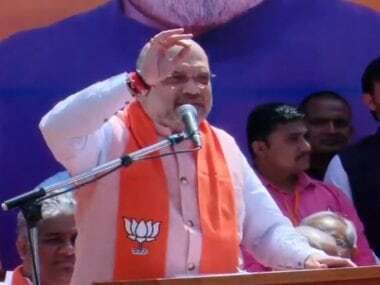 The Seemandhra electorate is truly angry over the Modi-led BJP government for denying special status to the residuary state of Andhra Pradesh. Congress president Rahul Gandhi has already extended unequivocal support for special status to Andhra Pradesh. 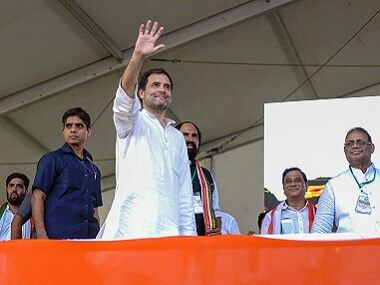 The Congress held its public meeting in Serilingampally constituency of Hyderabad, where the Seemandhra electorate forms a majority, indicating the party's strategy. The TRS, which earlier supported the demand of Andhra people, has recently retreated, giving Congress more ammunition. Seemandhra voters play a decisive role in many constituencies, especially in state capital Hyderabad. This is evident from the fact that TDP could get as many as 15 seats in 2014, most of them from Hyderabad. But with the TDP weakening, the Congress intends to grab these seats. The Congress is even trying to forge an alliance with the TDP, at least in Telangana, to give TRS a more united fight. The party may even rope in CPI and the newly formed Telangana Jana Samiti of Prof. Kodandaram, the chairman of Telangana Joint Action Committee that spearheaded the movement for separate state. Thus, the Congress is hoping for a comeback in Telangana in order to send maximum MPs to Lok Sabha from the state. The state is high on the Congress president's agenda as well. But the party has to do much more home work and hard work to fulfil this ambition. 1Rahul Gandhi in Telangana: TRS suffering from anti-incumbency and voter fatigue, but can Congress capitalise?